There are many ways to get inspiration for an interior. It can come from a favourite piece of art or a vase, a particular era or even another interior, like a hotel or palace. But for me travel is one of the best places for inspiration. Whether you are recapturing a favourite holiday or creating the look of a place you may never visit (travel is not always cheap) travel provides a rich sourcebook for a designer. Ever since I have been interested in interior design I have always dreamed of creating an interior with a moroccan flavour. 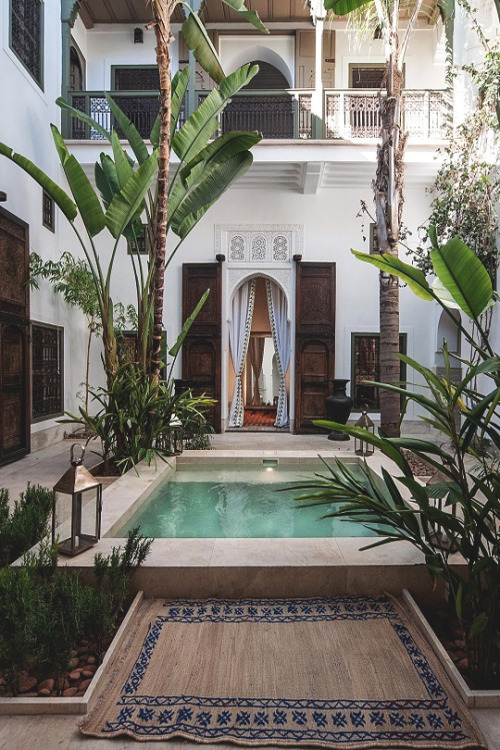 Like a lot of people I have a bucket list of places I would like to travel to and Morocco is right up there, crisp white riads and their courtyards with colourful textiles, decorative tiles and ornate carved doors and furniture. Sigh!! 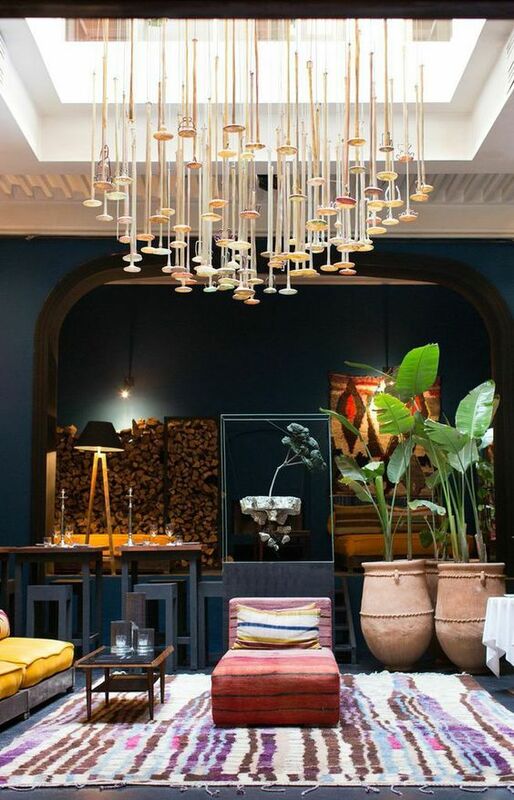 So while I dream of Moroccan interiors, I thought I would share some images of modern Moroccan interiors so you can see where I am coming from. Can you believe the above is actually in Palm Desert, California. It’s called Casbah Cove and located in the exclusive gated community of Big Horn Golf club. 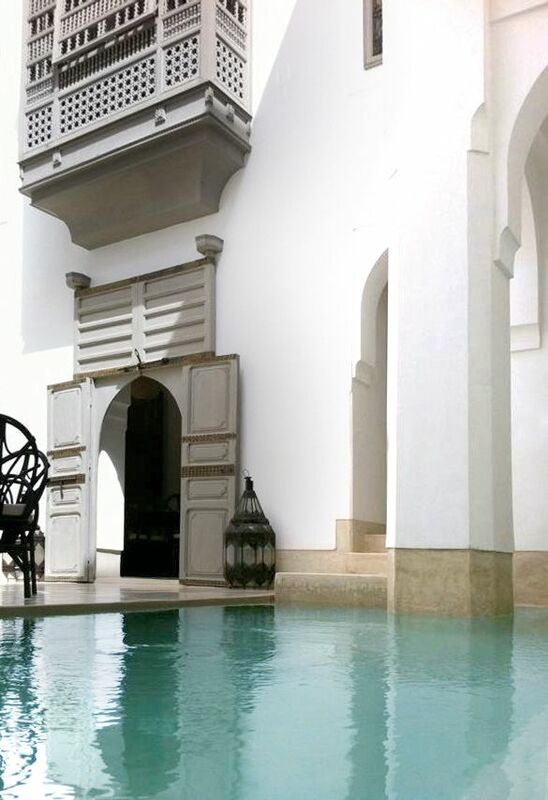 The images above and below are from the El Fenn Boutique Hotel in Marrakech. The colours are just stunning. 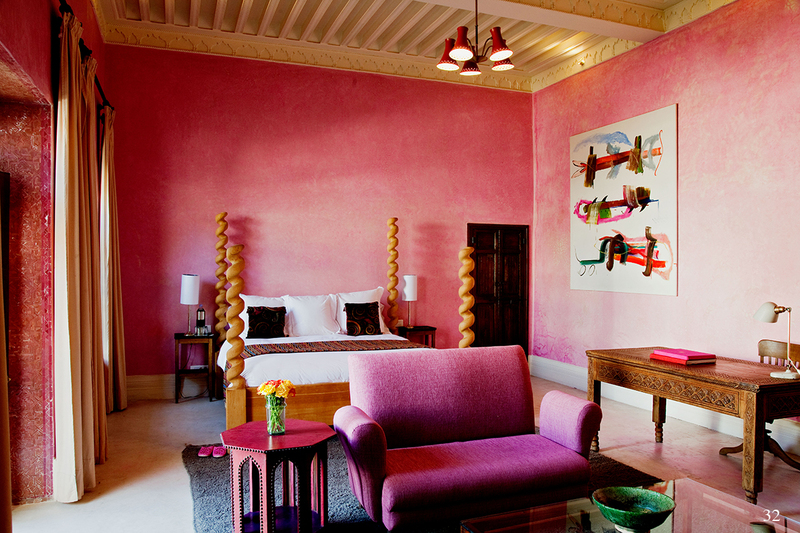 For more check out the hotel’s website gallery here, El Fenn Boutique Hotel. 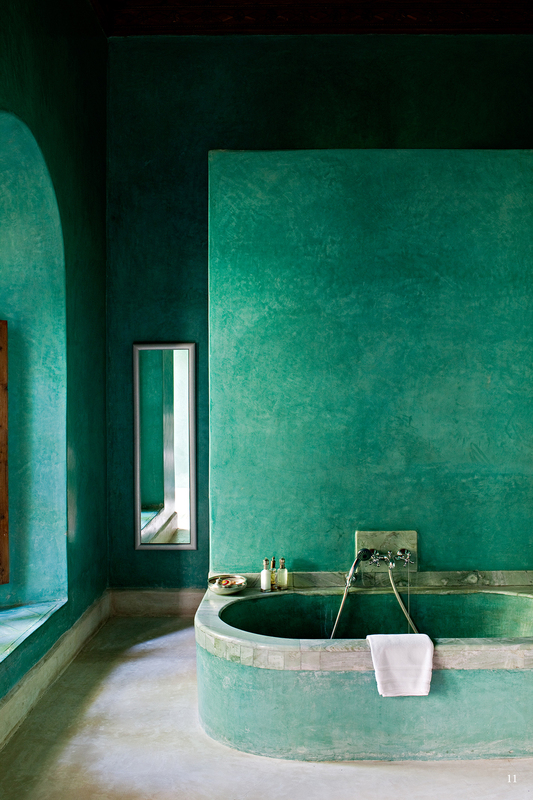 I love the emerald green and the simple earthiness of this bathroom. Just perfect for a relaxing soak in the tub. This is from Riad Jaaneman, Marrakech. A couple of weeks here would not be a problem. This really is a modern take on Moroccan decor. The tiled wall is just stunning and pops against a crisp white interior. 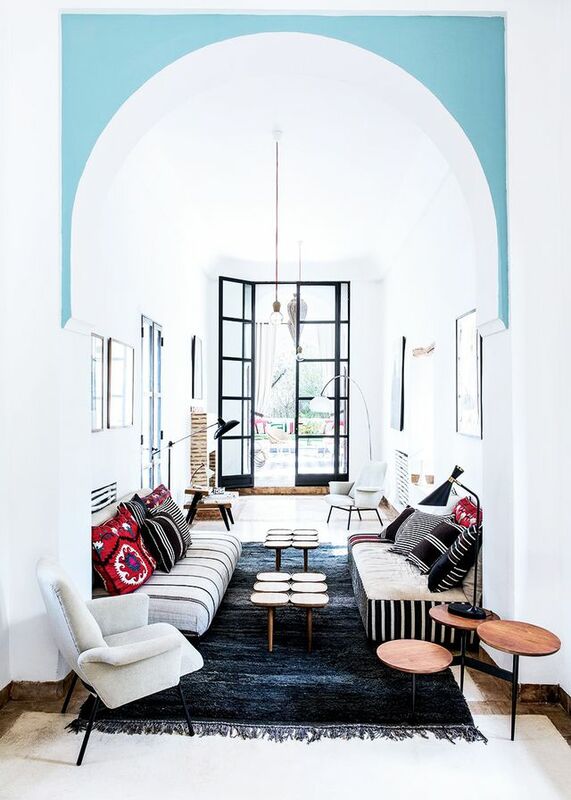 Not quite ready for a full blown Moroccan interior, this home mixes Moroccan elements, like the textiles with a bit danish design. 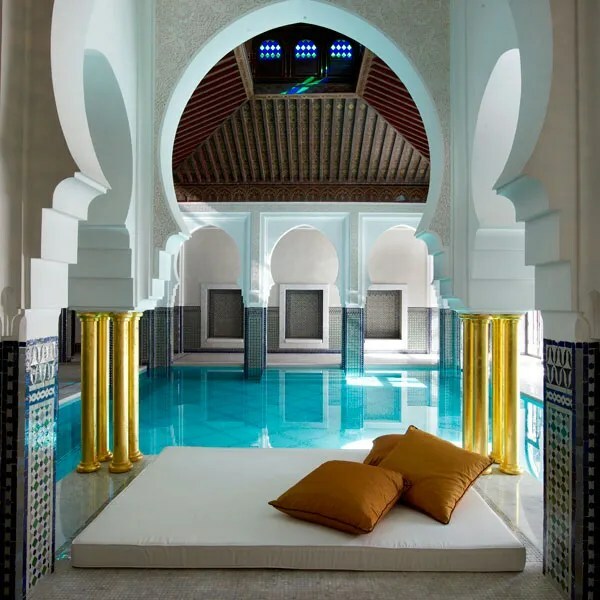 This is pool area is from the hotel La Mamounia in Marrakech. Those tiles against the white just makes for a cool interior especially in a hot country. 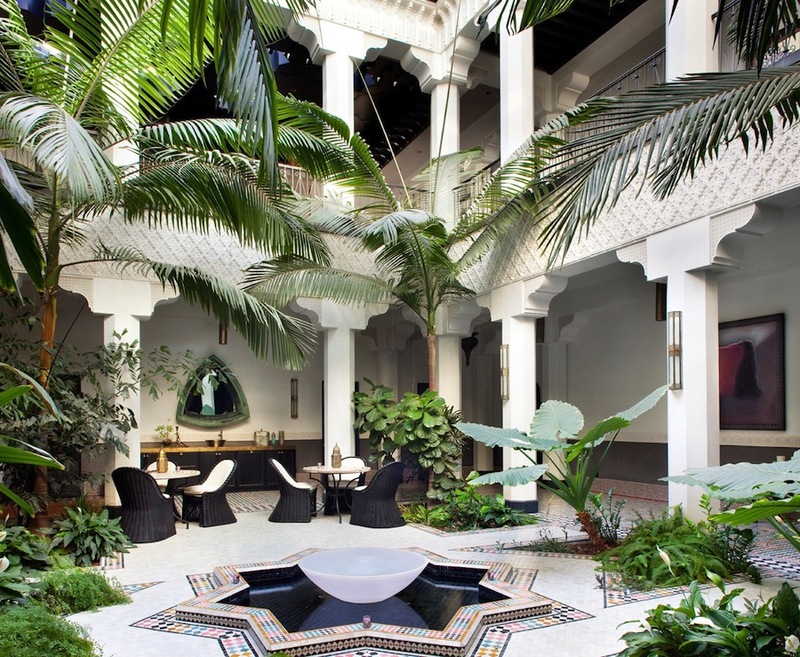 A simple but beautiful courtyard area located at Snan13 Riad, Marrakech. A mint tea and a book and you will be set here. Usually Moroccan interiors are bright and white or very colourful, however I do love this dark and cozy interior. And finally, what an entrance!! 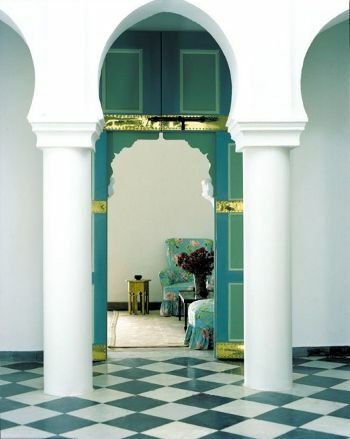 The once Moroccan home of Yves Saint Laurent and Pierre Bergé. Love the gold with the blue and green. Still need convincing you need a bit of Morocco in your life, then check out more images on my ‘Global Inspiration‘ pin board at Pinterest. Mmmmm now where did i leave that Fez????? Next ›In the dark, bedroom makeover.